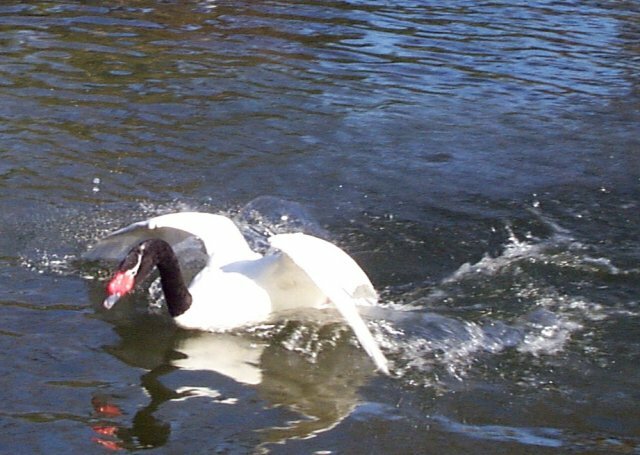 The black-necked swan is a member of the Anatidae family from the Order Anseriformes. The specimens in the Order Anseriformes all have a reduced aftershaft, a feathered oil gland, and their offspring are covered in down when they hatching. There are 43 specimens in the Anatidae family. The waterfowl in the Anatidae family are ducks, geese, and swans. They typically have an elevated hind toe in their webbed feet, a thin coat of feathers, and pointed wings. The black-necked swan's scientific name is Cygnus melanocoryphus. Black-necked swans are 45 to 55 inches tall and 8 to 15 pounds. Black-necked swans are the smallest species of swan. Also, they are the only swans that are completely white except for their neck, which is black. The black-necked swan has a gray bill with a unique red lob near its base. The males swans are called cobs. They are usually one-third larger than their female counterparts, which are called pens. Their young are light gray in color and have black bills and feet, but they obtain their black and white coat in their second year of life. The breeding season of the Cygnus melanocoryphus is from July to November. When the black-necked swans breed, their incubation period for their eggs is generally 36 days. 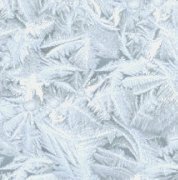 In the United States the black-necked swan may lay eggs through January; therefore, swan owners in the northern part of the United States must make sure that the eggs do not freeze. In this time they usually incubate 4-6 eggs. The pen lays her eggs near water and vast vegetation. If the swans are being bred in captivity, it is necessary for the owner to acquire straw and shavings so the swan can cover her eggs. The cob is quite protective of his pen and her eggs. He carefully guards the nest for long periods of time. Scientists have observed pens who only leave the nest in search of food. The young swans, cygnets, are usually very close to their mother. The cygnets have been known to ride on their parent's back. The black-necked swans are in high demand. There are several bred in captivity every year. They tend to be quite expensive because they are so high in demand and short in supply. One reason that they are extremely high in demand is the swans have a good disposition. Their calm temperament allows owners to pair various types of waterfowl with them without major complications. Although they generally have a good temperament, black-necked swans may be aggressive during breeding season. Multiple pairs of swans should be separated into different areas to inhibit conflict among the waterfowl. 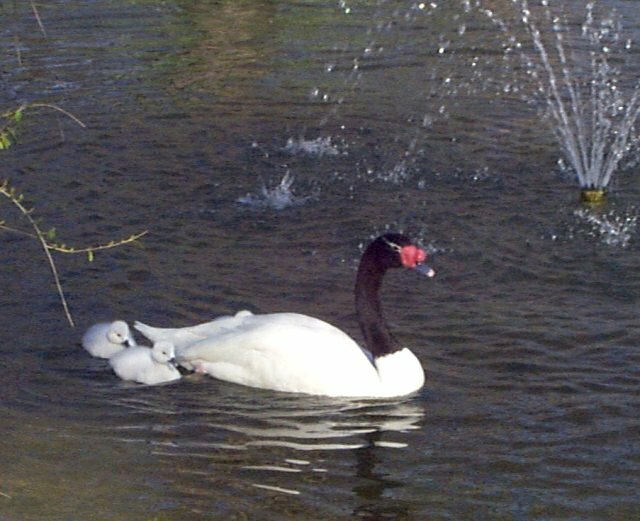 The black-necked swan has a few interesting physical adaptations, which make it a unique member of the Anatidae family. The swans spend the majority of their time in large bodies of water because the placement of their legs makes traveling on land difficult. The swans also have interesting behavioral adaptations. When the swans are fighting, their heads and necks are close to the surface of the water. The swans voice does not squawk or honk; it tends to use weak and wispy whistles to communicate. Also, the cygnets actually spend more time on their parent's back than the young of any other related species. The black-necked swans are beautiful waterfowl. Their unusual coloring makes them distinctive yet their black necks would allow them to camouflage in the wild. I enjoyed watching their docile behavior. They swam with the other swans. On the third day of observation it was a humid and hot day. The swans seemed to look for shade although the area in which the were living was not very shady. I can understand why these swans are in high demand with bird owners. They are truly amazing birds. Their inward beauty of a pleasant disposition matches the outward beauty. Fisher, James World of Birds. Yugoslavia: Crescent books, 1973. Gill, Frank. Ornithology. New York: W.H. Freeman, 1990.